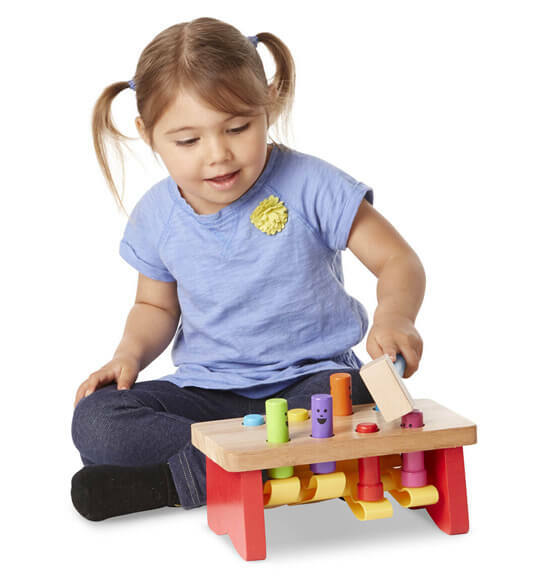 The pegs on this Melissa & Doug® Personalized Deluxe Pounding Bench go up and down, playing peekaboo on this solid wood pounding activity. 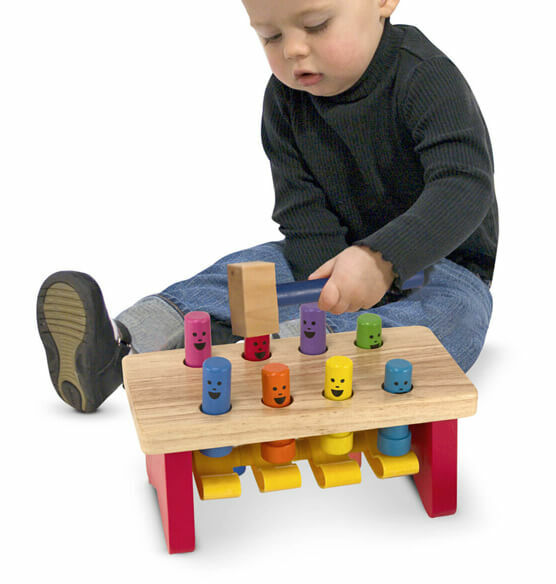 Non-removable pegs take turns showing their smiles while your toddler has fun naming the colors and practicing fine motor skills. 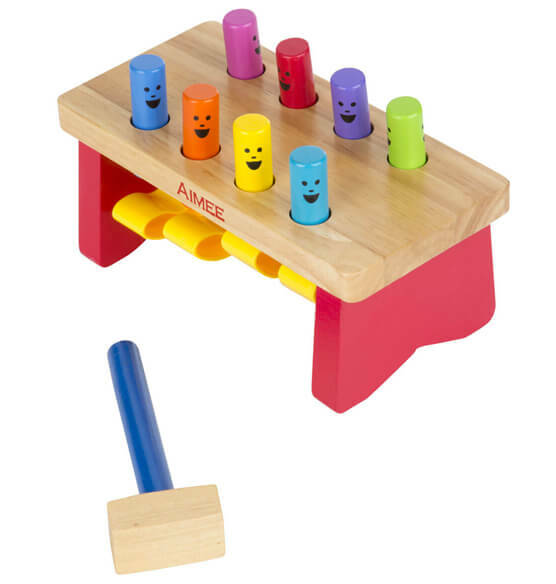 A sturdy mallet is included with this wooden toy. Express shipping not available. Please allow 2-3 weeks for delivery.